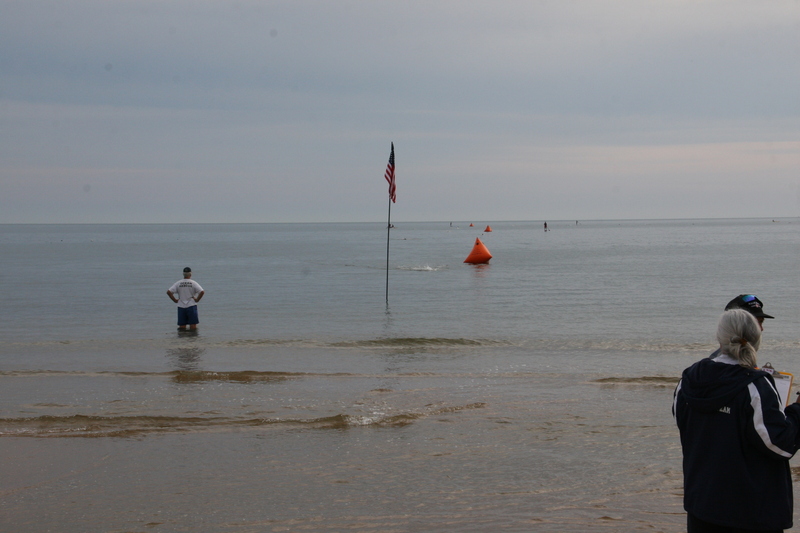 This entry was posted on August 19, 2013, in Open Water and tagged East Hampton Volunteer Ocean Rescue, Montauk open water swim, Open water swimming on Long Island, Red Devil Swim in Easthampton. Bookmark the permalink. 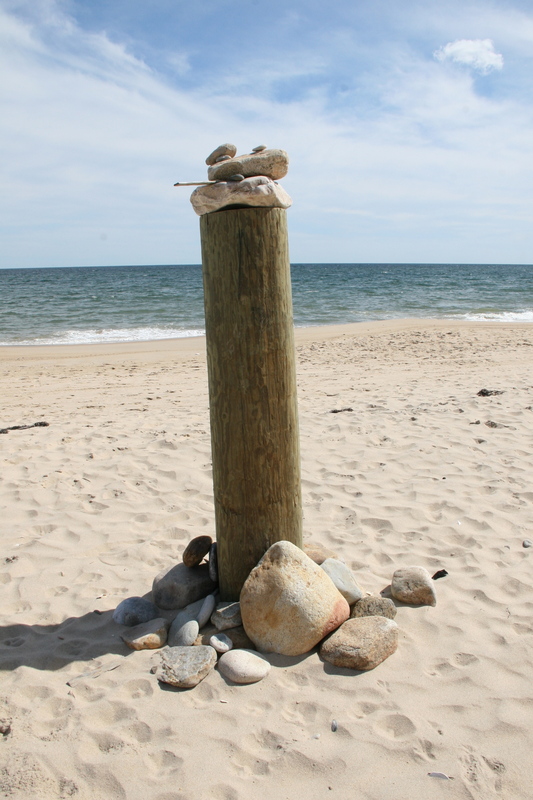 Ever since I was a little girl, my family and I have been venturing to Montauk, on the East end of Long Island. It’s a beautiful place, with admittedly frigid water, and this past weekend was gorgeous. 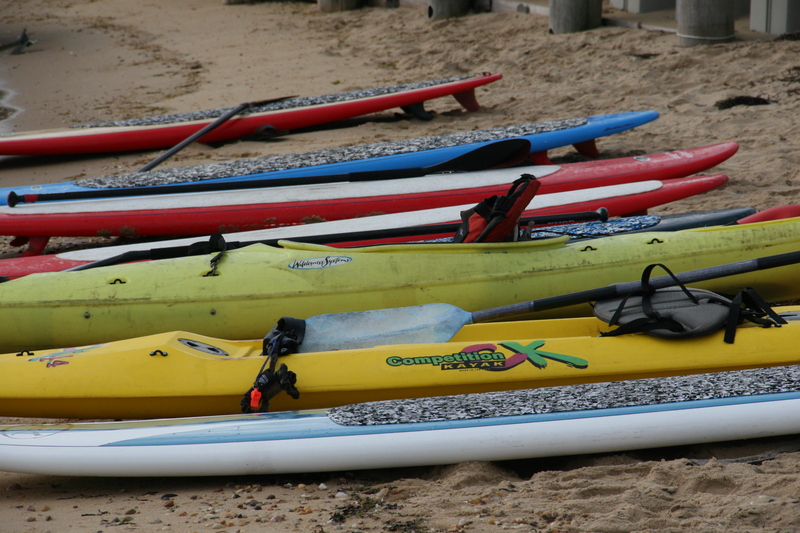 And what’s even better than a weekend with friends and family playing on the beach? 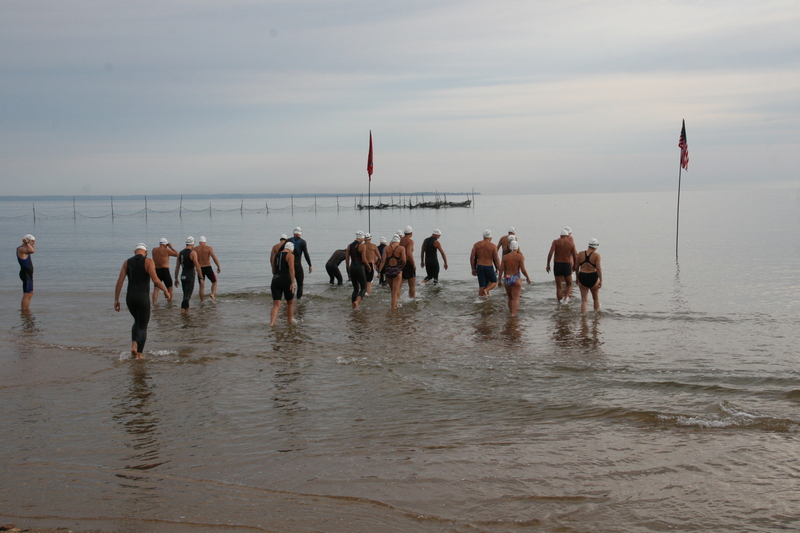 Finding out about an open water swim happening while we were there. 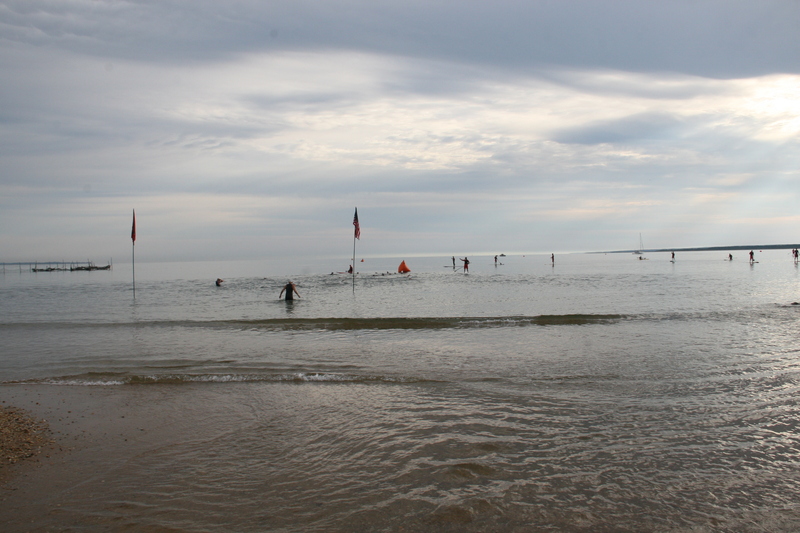 I hadn’t planned on racing this weekend but then, a friend told me that on Sunday morning, the East Hampton Volunteer Ocean Rescue was holding the 2-mile Red Devils swim in Gardiner Bay in Amagansett. We arrived early and the water was perfect, as was the setting. 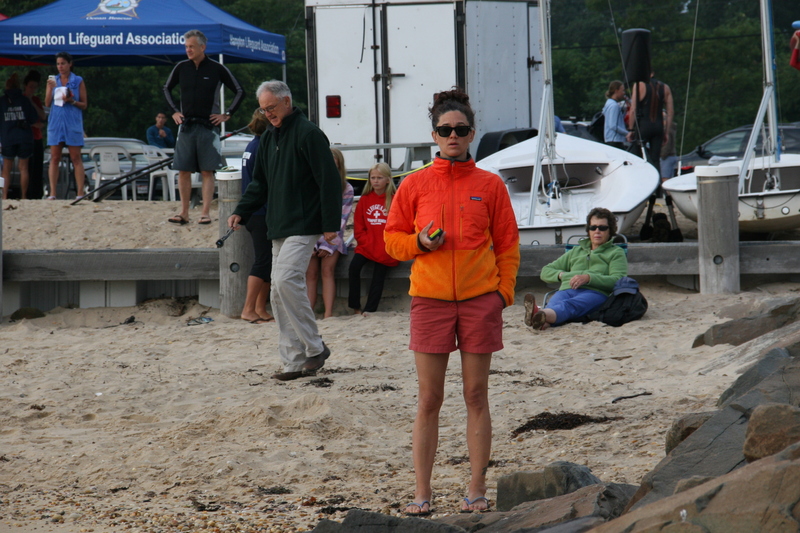 It shouldn’t have surprised me to find that the East Hampton crew was well-organized, and had incredible gear. 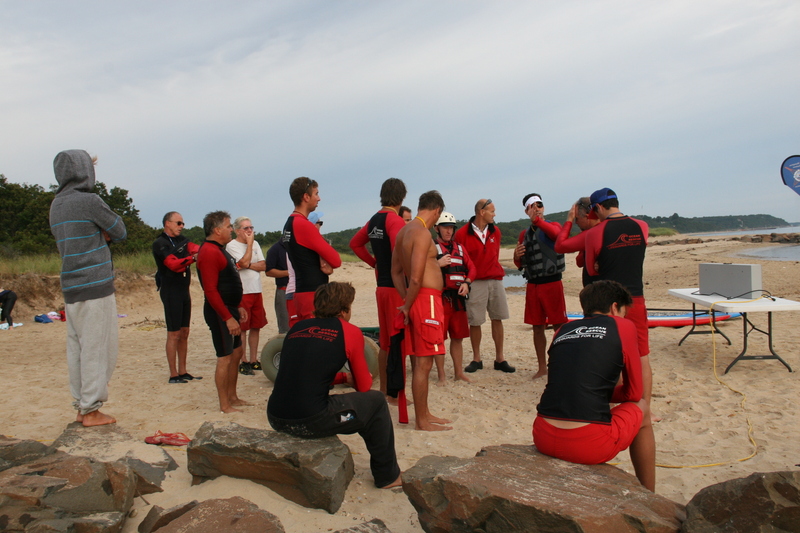 East Hampton Volunteer Ocean Rescue is comprised of volunteer lifeguards who respond to 911 dispatched emergencies year round in East Hampton. 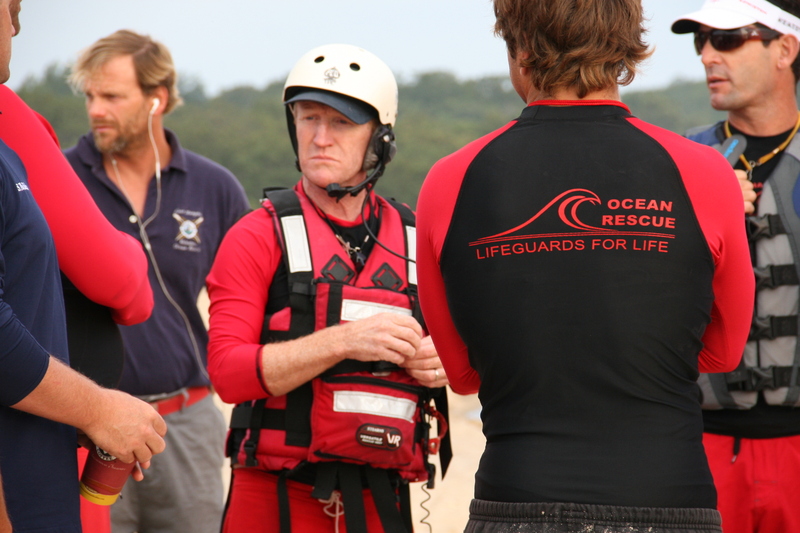 The East Hampton Volunteer Ocean Rescue traces its roots back to the Dory Rescue Squad, which was comprised of a group of dory boat fishermen who applied their unique professional skills to the noble enterprise of protecting lives in the waters around East Hampton… no matter the conditions. 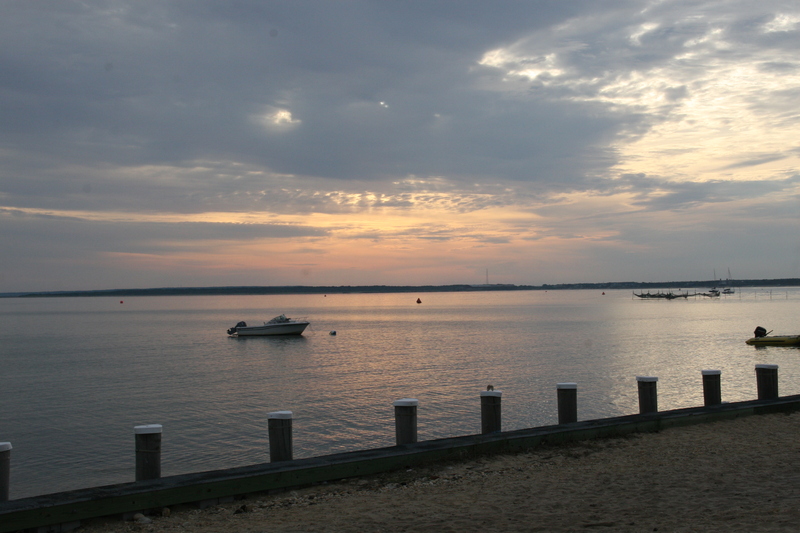 The end of the dory fishing era on Eastern Long Island forced the Dory Rescue Squad to disband. 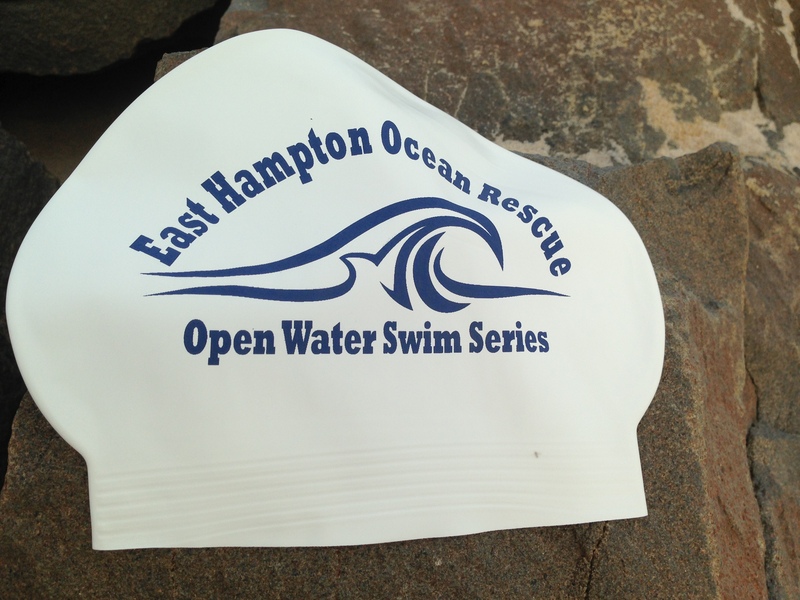 East Hampton Volunteer Ocean Rescue has taken on the responsibility of protecting swimmers throughout the town of East Hampton. 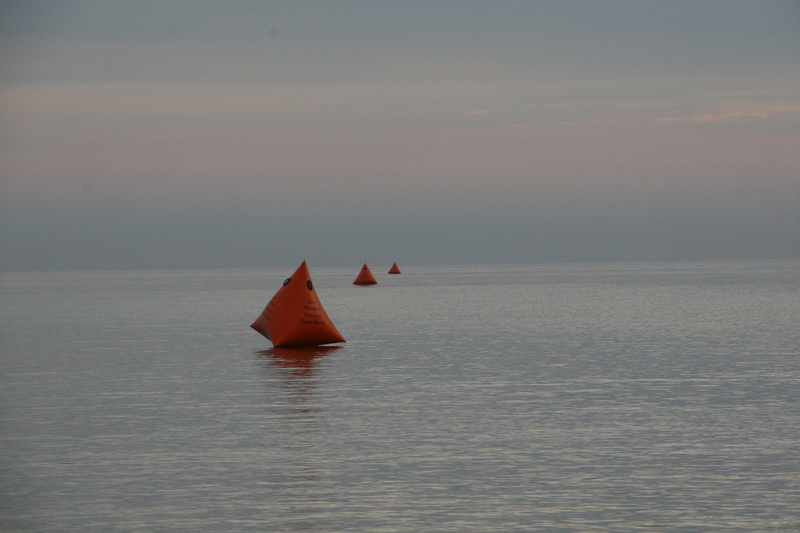 No emergencies at this race, but they were certainly prepared for anything that might have happened. 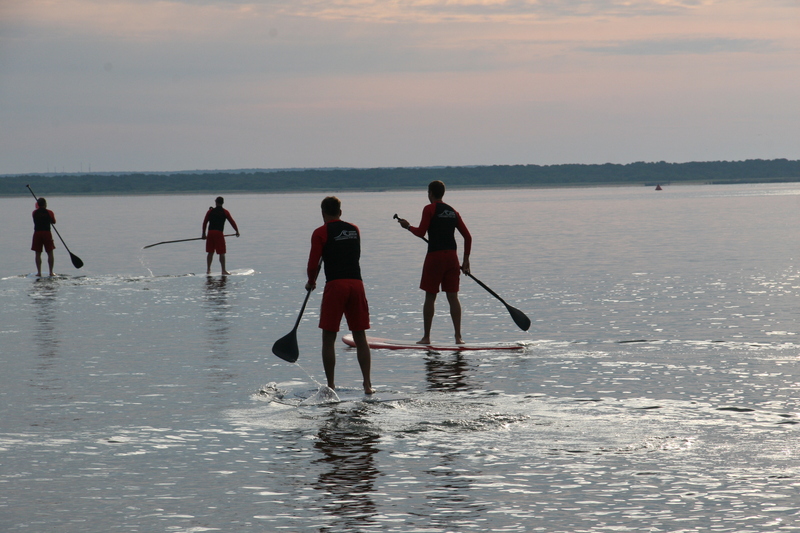 The race course was clearly marked, with paddle boarding guards at every turn, and along the course itself. The start was prompt, and efficient. The water was like glass. 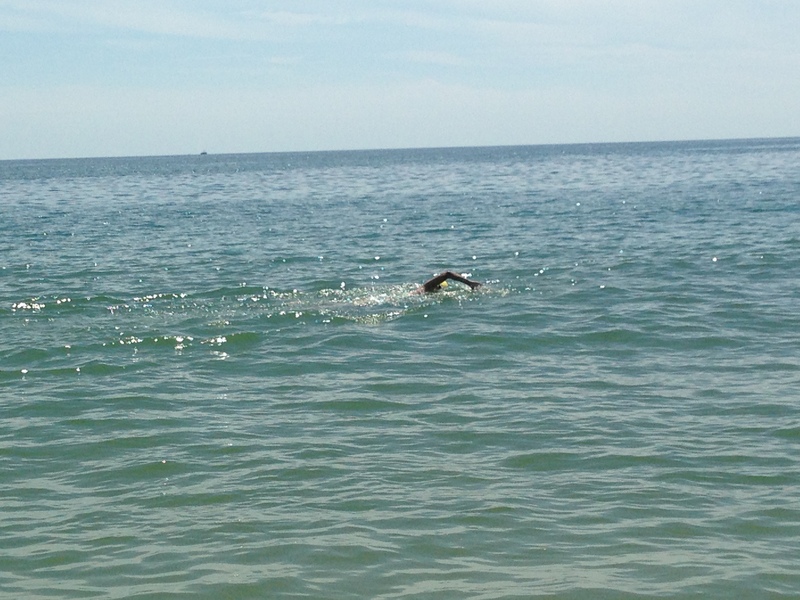 Considering my swim the day before had been in the high 60s for water temperature, the warmth of the bay was a welcome relief. Two miles is, of course, a bit short for my taste. 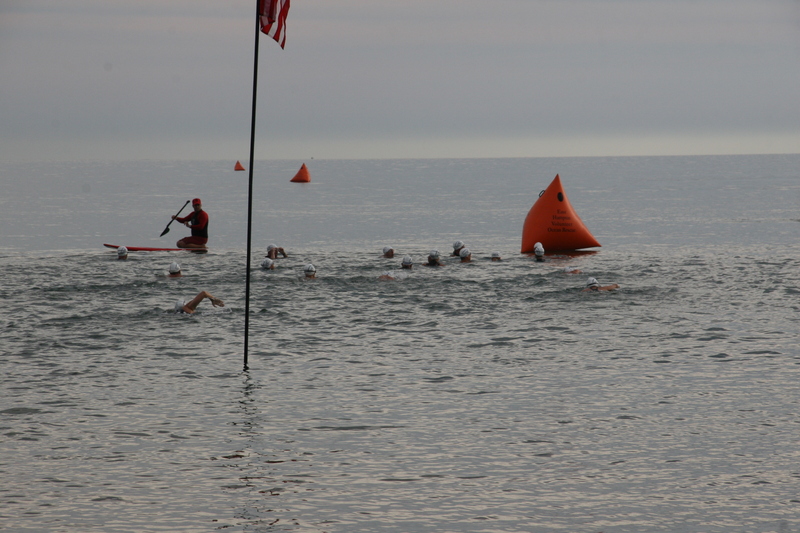 Before I knew it, the swim was over. 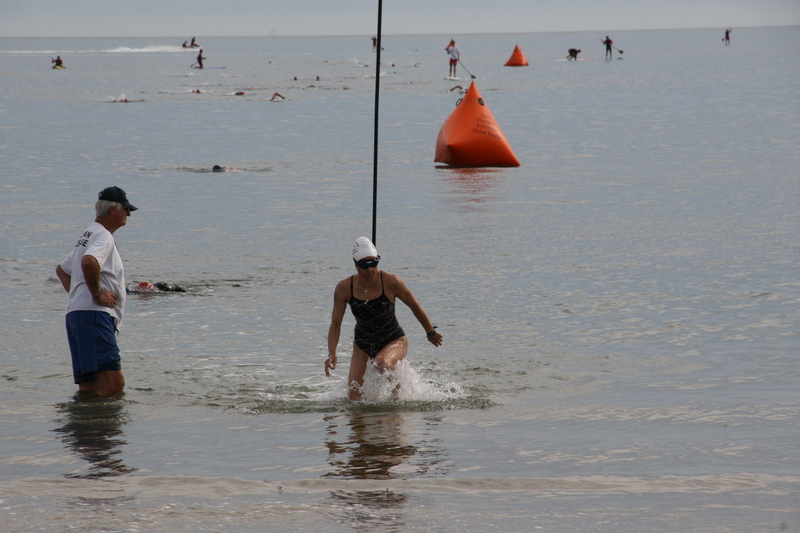 No times posted yet, but according to my husband, who is well trained to keep track of these things, I was 3rd woman out of the water – and before most of those wetsuit folks too. 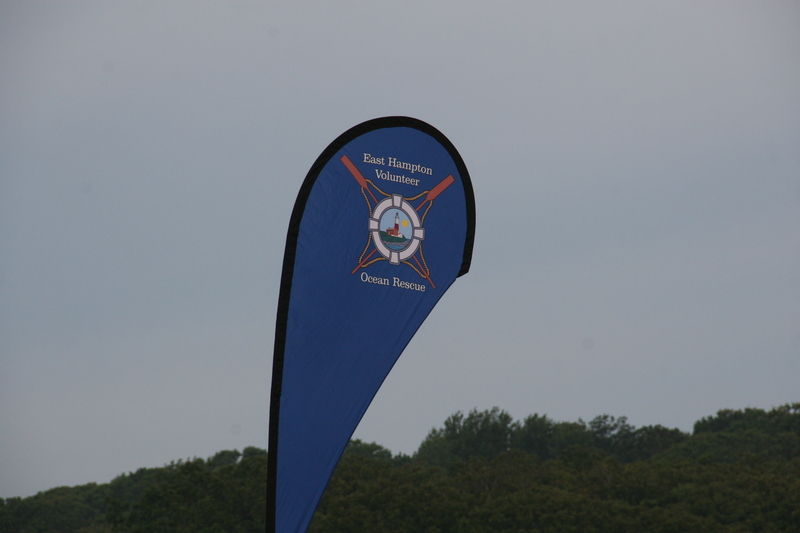 After the race, members of the Rescue were keen to hear suggestions for next year. I’d love to come back, with my family swimming too, and my one big suggestion? 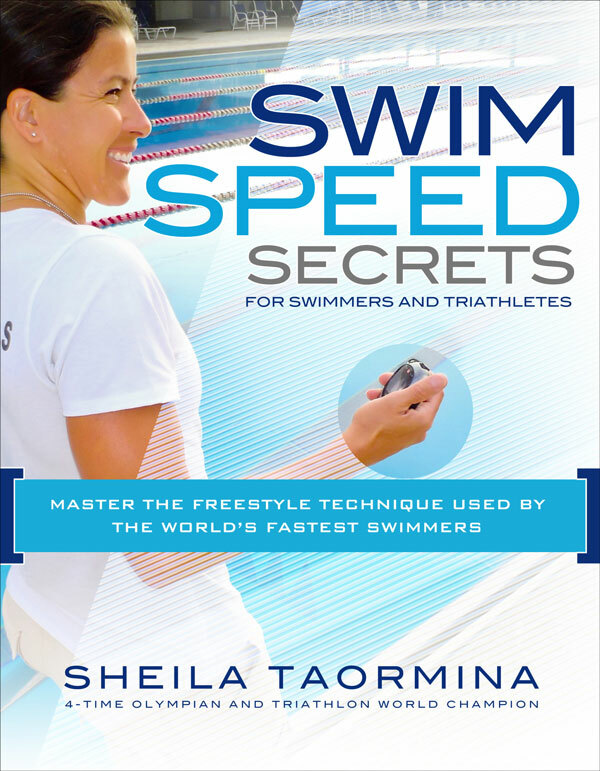 A longer race option for us nutty folks who are all about distance! 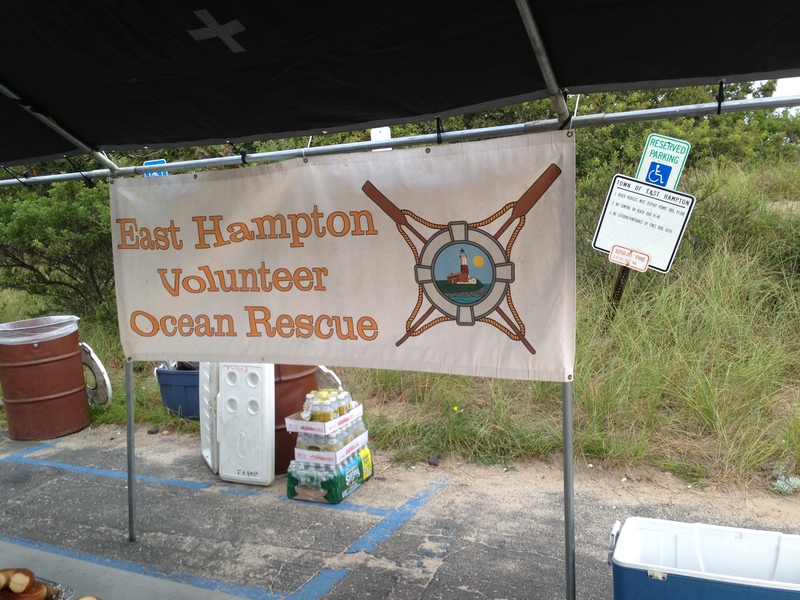 Thanks again to East Hampton Volunteer Ocean Rescue for ending my lovely beach weekend on such a fun note! 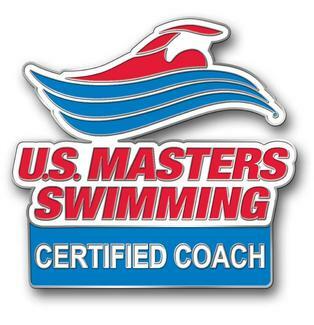 « Swimcrest triathletes still going strong this summer!